This cowl is knit in my own home-dyed yarn. I chose 4 ply wool, which I had dyed with cochineal to produce the deep burgundy red, coral and salmon pink (as the dye bath got weaker), onion skins, avocado stones, pomegranate and turmeric for the golden yellow, walnuts shells for the muted brown, log bark chips for the purple and indigo over-dyed yellow for the green. I've been experimenting with natural dyes of late, and, in truth, these colours were chosen from the kaleidoscope of what I had to hand. I passed a happy half hour playing around with the little hanks of wool in my stash to produce what I thought would be a pleasing combo of autumn colours. I'll be honest there wasn't lot of science that went into the selection, and things got edited further as the cowl progressed. I hadn't, for instance, reckoned on including purple, but it quickly became apparent to me that if I used only my favourite fire colours the composition would look a bit flat without something from the opposite side of the colour wheel to spice it up a bit. The finished cowl weighs 50.51g - so you'll need just over 50 g of wool in total to knit it. It's a project that you could knit up from oddments left over from sock-knitting. If you want to buy the wool for the purpose, you will do just fine with little 20g mini-hanks of each colour, and you will have loads left over for another creation when you're done. I've used 3.25 mm needles, which have produced a tension in stocking stitch on the colourwork of 33stitches x 40 rows for 10 cm². The finished cowl measures 20cm long and 50 cm around. It is knit in the round. Cast on 168 stitches in walnut brown. Join without any twists to knit in a circle, and mark the beginning of the row with a stitch marker so you'll know where the rows end. Work 2 cm in k2, p2 rib. You need this ribbing to top and tail your cowl as it will stop the stocking stitch colourwork from curling over. Left to its own devices stocking stitch always curls. Change to coral pink, and knit 2 rows of plain stocking stitch. Knit 2 rows of coral pink in stocking stitch when you've finished the chart. 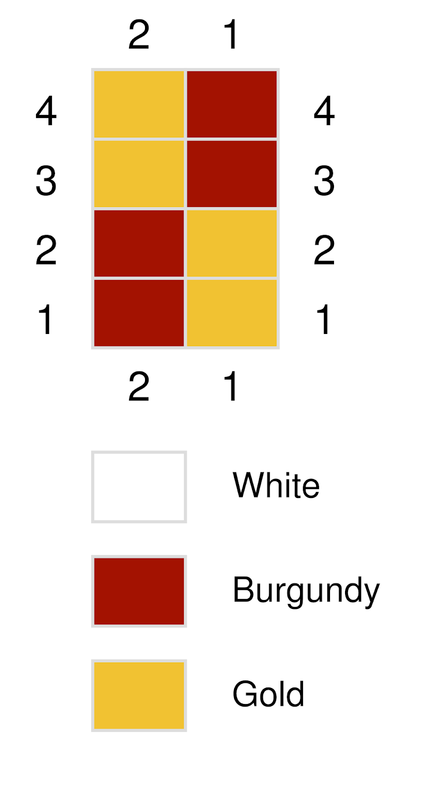 Change to burgundy red, and work 1 row in plain stocking stitch. Work the colourwork chart for section 2 of the cowl. 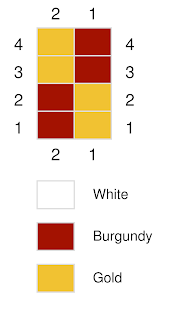 Knit 1 row of burgundy red when you've finished the chart. 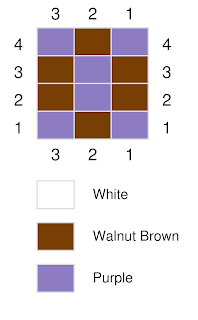 Change to walnut brown, and knit 1 row in plain stocking stitch. Work the colourwork chart for section 3 of the cowl. 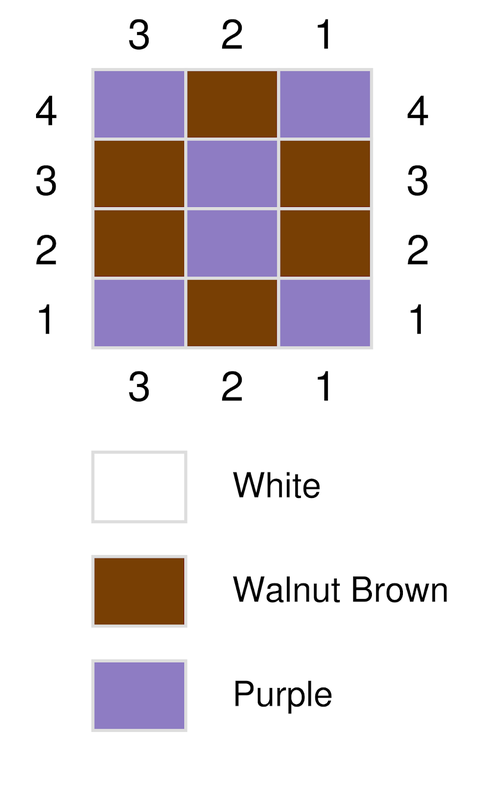 Knit 1 row of walnut brown when you've finished the chart. Repeat the colourwork chart for section 2 of the cowl. Knit 1 row of burgundy red. 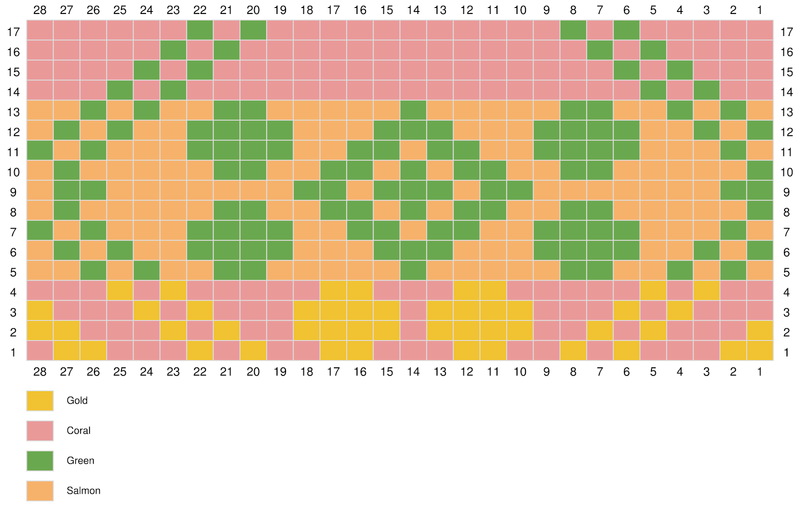 Repeat the colourwork chart for section 1 of the cowl (see above). Knit 2 rows of coral pink in stocking stitch. Change to walnut brown. Knit 1 row of plain stocking stitch in walnut brown (so that the purl bumps do not show on the right side of the work when you knit the ribbing). Knit 2 cm of k2, p2 ribbing in walnut brown, and cast off in rib stitches. 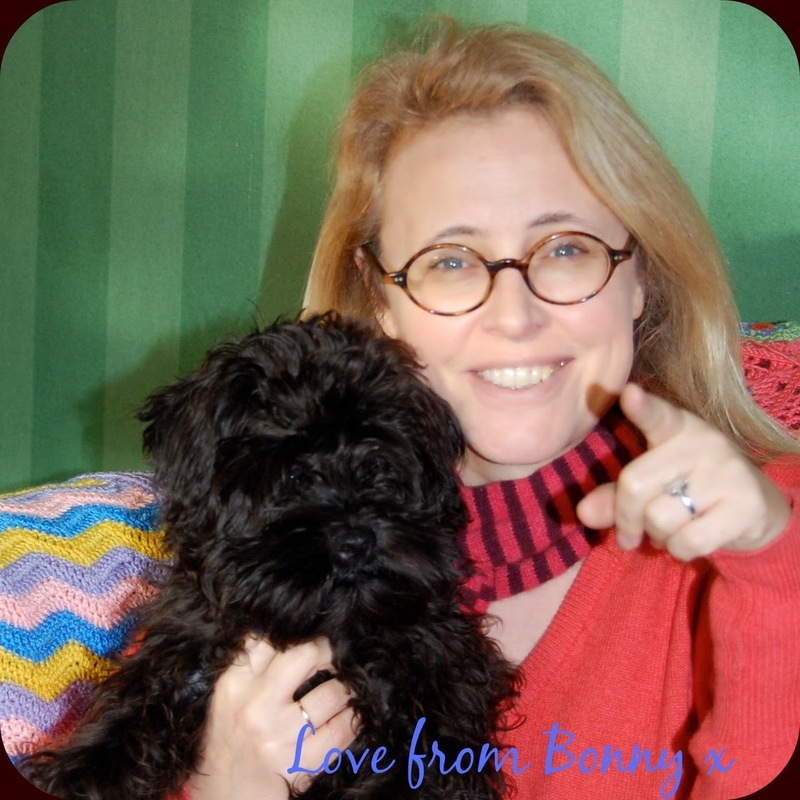 Weave in your loose ends and you're done!